With the high speed media technology developmen,t videos that we can watch nowadays are in a higher quality everyday than the previous days. From 720P to 1080P, and all the way to 4K, the enjoyment that we can get from the high resolution videos are getting better and better every single day. 4K videos can bring us not only a much higher quality in the picture and footage, but also an extraordinary audio effect and can greatly improve the overall experience when watching a movie. Everybody loves 4K videos. But if you think watching a 4K movie on your computer is a great enjoyment, think about watching the 4K video on your Blu-ray player. Burning a 4K video to Blu Ray can bring your watching experience to a whole new level. And the most important thing is, it’s not even hard to burn any 4K video to a Blu Ray disc. So today we are gong to talk about how to burn your 4K video to a Blu-ray to have an extraordinary experience with your 4K movies. Part 1: Where to download 4K videos? Extension: Burn a 4K 3D Blu-ray! Before we start talking about how to burn 4K videos to a Blu Ray, in case you don’t have a 4K movie at hand right now, we’re going show you some ways you in which you can get high resolution videos from the Internet. There are several ways in which you can get 4K movies and here are some of them that we think are the best and easiest for you acquire 4K movies from the Internet. If you already have a 4K movie in your hand, you can just skip this part. But if you want to know where to download 4K videos or movies, it suggested that you read this part so that you may get some ideas for yourself. The first solution that I want to provide you for downloading 4K movies is to download them from movie download sites. 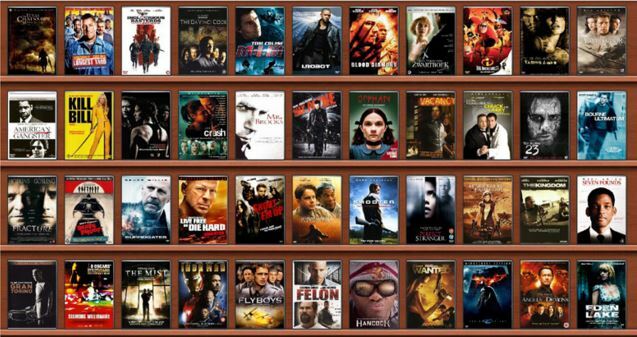 There are a lot of websites that provide movies in high resolution. Some of the websites provide free download of any movie, while others may charge for subscription. Make sure when you’re downloading you choose the 4K option so that you can get the best of quality of the movie. Besides the websites that provide full movie download, there are also some websites at provide 4K movie clips download. From there, you can download those movie or video clips in high resolution and then edit them and make them your own piece of work and then buen it to a DVD or Blu Ray. That is also a good choice if you are a fan of DIY. As mentioned above, most of the movie in the moivie download sites are not free. In order to download movies inaa high resolution, you have to either pay for each download from the website or for the subscription. Also, the websites don’t necessarily have all the movies you need. maybe there is one specific movie that you need and it happened to not be in the movie download website. If that’s the case, even if you are willing to pay the money, you will not be able to download movie whatsoever. Tp fix that problem, There’s another way that you can download movies in high resolution. There is this online video downloader called Leawo Video Downloader. You can download any video from video online streaming sites, and if the oregional quality of your movie is high resolution, it would be well retained in the downloaded file. If you want to find a video or movie that you cannot find that in online movie download websites, you can try Leawo Video Downloader if you can get the streaming URL of the video. To download the video with Leawo Video Downloader, all you need to do is to paste the URL of that video into the program and then hit the download button. The download speed is high and so is the quality of the final video that you will get. 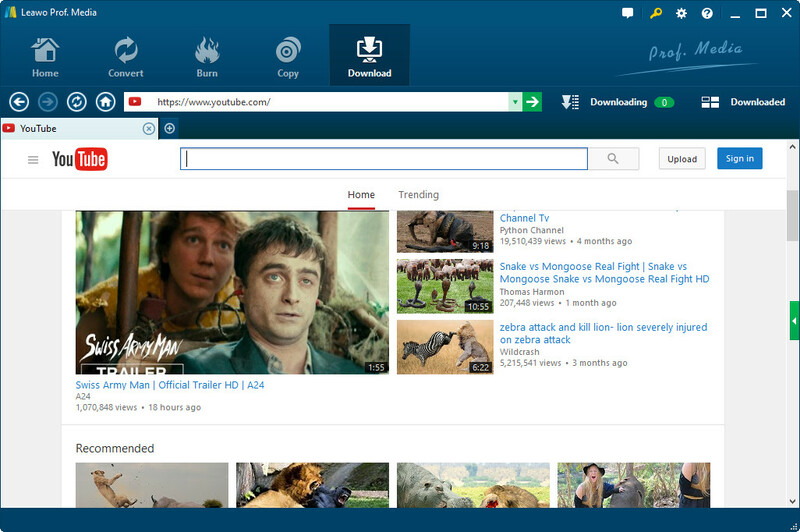 Here is the detalied steps on how to download online 4K videos with Leawo Video Downloader. Step 1. Download and open Leawo Video Downloader. Before starting the download, you need to firstly set an output directory to save downloaded YouTube videos. Click the wheel icon on the top-right corner and then navigate to the “Downloader” tab to set output directory in the “Save videos to” box. Step 2. Click “Download” button and paste video URL in the address box. Or you can watch the videos with the built-in browser online and the videos will be downloaded at the same time. Step 3. There is a little green arrow on the right bar. Click it to open the wait-to-select panel. You can choose the video with the appropriate resolution. Then click the download icon. Step 4. You can check the downloading videos under the “Downloading” panel. After the completion of downloading, then you can see the video files on your computer. No that you have the 4K movie that you love, it’s time to see how to burn a 4K video to a Blu-ray. To burn a 4K video to a Blu-ray you need a good Blu-ray burning program installed on your PC. 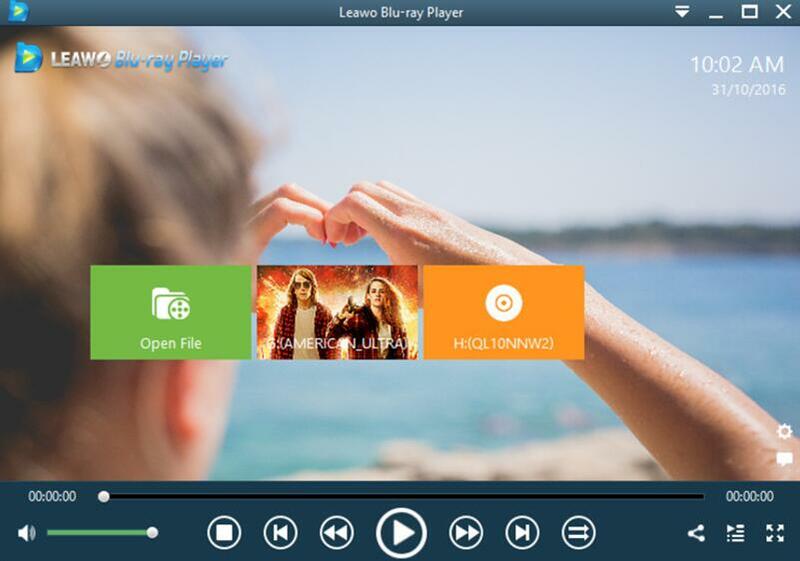 And the one that I would strongly recommend is Leawo Blu-ray Creator. By comparison, Leawo Blu-ray Creator has a lot of advantages over other Blu-ray burning programs. For example. 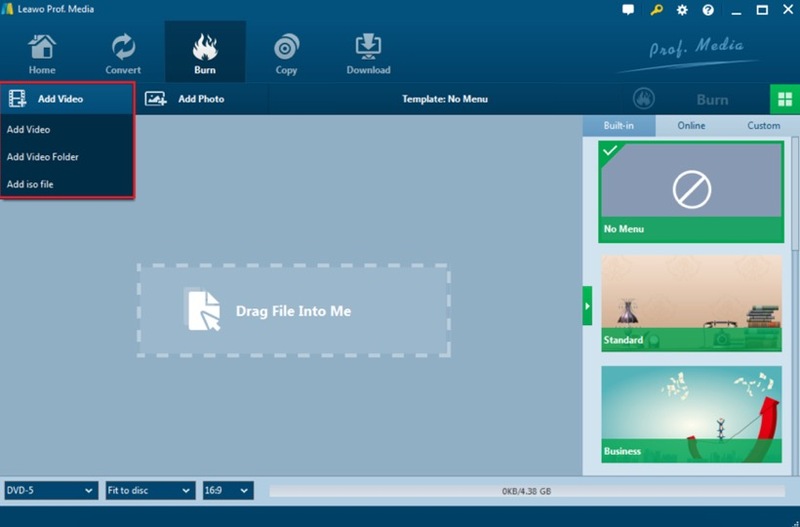 Leawo Blu-ray Creator can allow you to make your own menu page for the Blu-ray disc you burn. You can use the beautiful menu templates, or you can create your own menu from the ground. And, you can also edit your video with the built-in multifunctional video editor. You can trim, crop, even add 3D visual effects to your video. What’s more, the burning quality and speed is much better than other burning programs we have tried earlier. So, after comparison, Leawo Bu-ray Creator is our ultimate choice to burn 4K to Blu-ray. 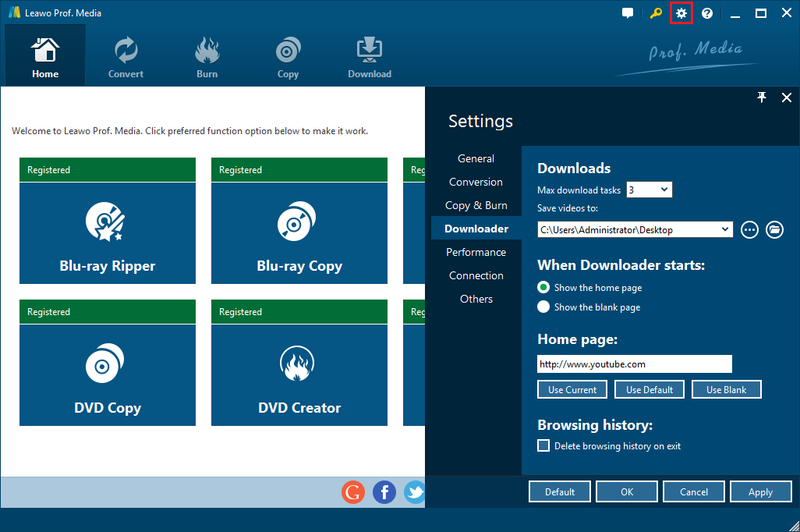 As an all-in-one Blu-ray disc burning program, Leawo Blu-ray Creator will allow you to create a 4K movie disc with several simple steps. Step 1. Launch Leawo MP4 to DVD converter. Click “Add Video” button, or directly drag and drop source MP4 files into this MP4 to DVD burner. Step 2. Insert a Blu-ray disc which has enough capacity for the 4K Blu-ray video. At the bottom, you can select disc type according to the disc you’ve inserted to the disc drive, and set disc aspect ratio and quality. Step 3. If you need, select a disc menu template from the right sidebar and then click the middle of it to get instant preview. You could even customize disc menu by changing background music/photo, title, text font, etc. The final important part about 4K movie is not only can you watch a 4K Blu-ray disc on your Blu-ray player, but also on you PC or laptop with a proper player program installed. If you want to have an exraordaniry wating experience with your 4K movie on your PC, then it’s suggested you get a free, powerful media player installed on your computer. The one that I want to strongly recommend here is called Leawo Blu-ray Player. 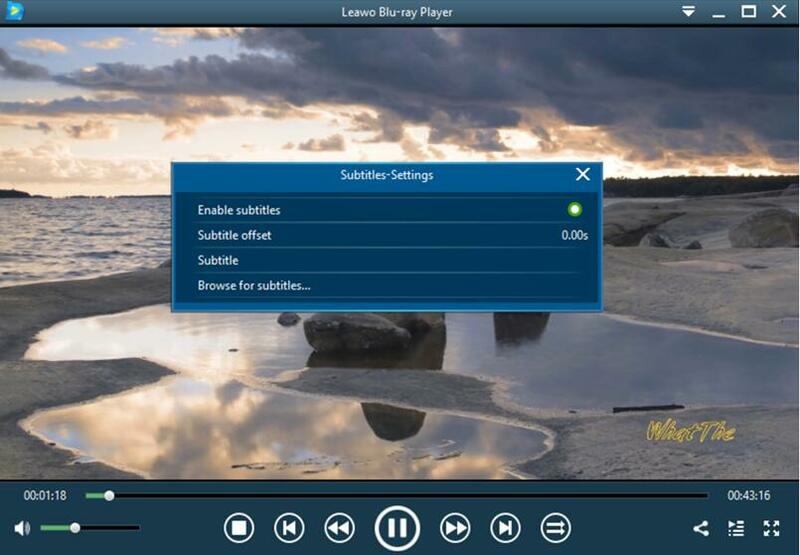 As a 100% free and 6-in-1 media player software, Leawo Blu-ray Player contains all media playback solutions you need for your leisure entertainment, including Blu-ray, DVD, CD, HD (4K), ISO file with AVI, MPEG, WMV, ASF, FLV, MKV/MKA and other popular formats supported. 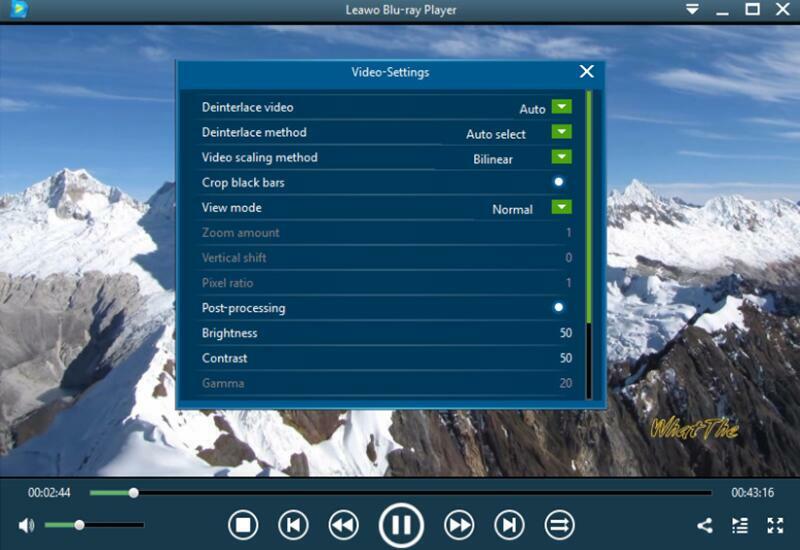 With advanced image and audio processing technology, Leawo Free Blu-ray Player software could provide you quality-lossless image for even 4K video, stereo audio enjoyment, all regions free DVD decryption and user-oriented playback control. Besides, Leawo Blu-ray Player’s practical bonus features including useful power manager, custom skin / language / background, snap screenshots, especially virtual remote controller make it a better choice for all playback choice. Now that you know how to download a Blu-ray movie, how to burn a 4K movie to Blu-ray, and how to play a 4K Blu-ray easily on your PC. Here is the best bonus information that I want to provide. Think about burning your regular 2D 4K movie to a Blu-ray with additional 3D effects add, isn’t that super cool? 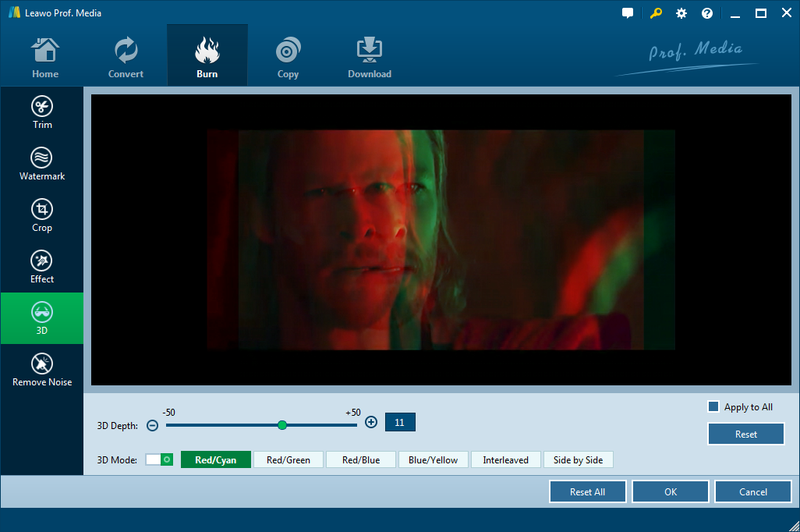 One of the best things about Leawo Blu-ray Creator we just introduced, is that the software is capable of turning your 2D movie into 3D and burn Blu-ray 3D movies. To do that, all you need to do is to import your movie, click the “edit” icon on the video, and then navigate to the “3D” section. There are a lot of 3D modes that you can choose from, and you can also set parameters like depth and others. After that, click “Ok” and then burn your movie. You will now have the extreme experience with a 3D 4K Blu-ray disc!